Another parent asked me for recommended readings in psychology this week. This happens a lot. A student, usually one in scholar phase, is interested in studying psychology, and the parent wants to help but hopes for a good psychology text that won’t attack religion or lead the student astray. First, there are a lot of books emphasizing religious views on psychology, but so far I’ve never found one that I really liked or wanted to use in a class. Here’s what I do when I want to teach psychology to scholar or depth phase students. 1-Use a regular psychology textbook, like Psychology by David Myers. Get a copy for the student and the parent/teacher, and as the parent or teacher read the whole book yourself. Then assign the parts you want your student to study. If your student is already an adult, go ahead and have him read the books at the same time you do. If he is younger, read it beforehand or at least read ahead. This book can be pricy, but a used copy is just as good as a new one in most cases. In fact, if it has a prior reader’s writing in it or highlighted sections, it might be even easier to learn from it. 2-At the same time, before you make any assignments to the younger student, read Integral Psychology by Ken Wilber. Again, make assignments after you have read it. 3-While you are reading these first two books, have the student read The Fourth Turning by Strauss and Howe and The 5 Love Languages by Gary Chapman. Then have long talks with them about everything they read. Focus on what interests them, and be sure to discuss the different viewpoints of the four major generations as well as the differences between the 5 love languages. 4-When you are ready, have the students read from Myers and Wilber, and spend time discussing what they’ve learned with them. Myers and Wilber are not Christian-focused psychology books at all, but they are excellent introductions to the topic and can help you learn and discuss effectively. Add your own views as you discuss—including things you agree with and other ideas you think the authors got wrong or that disagree with your religious views. Since the student is a young adult or an adult, a discussion of what is accurate and what isn’t is a good conversation to have. This is a vital skill, and the most effective way to teach it is one-on-one. Read and discuss with them, and help them learn and master this skill. This approach is much more effective than simply finding a book that matches your worldview. 5-Study the chapter on “Mind” in the Syntopicon (volume 3 of the Great Books of the Western World set). There are a lot of themes here, and they are very interesting. 6-Get a copy of Psychology Today at your local bookstore (a number of Walmarts carry it as well), or look it up on line, and read a bunch of articles. 7-Go to a university that it is close to your home, preferably a bigger school with a large psychology department. Go to the bookstore and find where the textbooks are sold for each class. Then peruse the books on the shelf for beginning, intermediate and advanced courses—and skim through the tables of contents. Find books that interest you and your student. You can either buy them there, or you can often find them at a library or get them at reduced prices online. While you’re at the university, go to their library and look through the books in their psychology section. Again, note which books interest you and your student and either check some of them out from the library or find the same title elsewhere. These 7 steps can help you learn a great deal about this topic, and it can be personalized for your student’s interests at every step. 8-If you reach a point where you have done all 7 steps and your student, or you, still wants more, look up “peer-reviewed journals” in psychology (online or at the university library) and read all the articles that interest you. Additional classics on the topic can be found in the writings of Plato, Aristotle, Augustine, Aquinas, Dante, William James, C.G. Jung, David Hume, Tolstoy, Bunyon and C.S. Lewis. 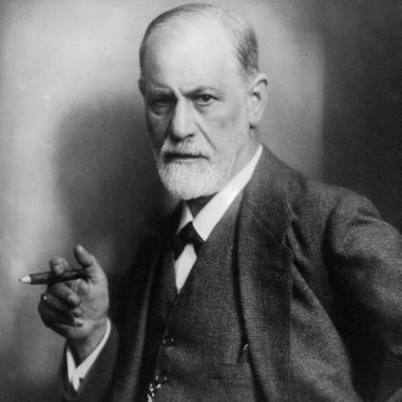 Freud has some very interesting ideas as well, but parents should read them along with the youth and take the time to discuss them (the good and the bad) together in detail. Perhaps one of the best ways to discuss psychology is to read stories from scripture and Shakespeare and discuss the psychology of the characters and their struggles, decisions and choices. I’ve probably provided more of an answer here than most people were looking for, but just in case…here it is. The most important thing in all of this is to have fun with it so you and your student keep learning. After steps 1-4, it’s okay if you read different books than he does. Both of you can take notes and share what you learn with each other. Or, if you lose interest after steps 1-4, your student can keep studying and just share with you during mentor meetings. Wow, thank you for such an in depth treatment of my question! I knew I didn’t want to just hand the books to my kid and leave but I wasn’t sure how to approach each one. Thanks for sharing what you do. Thank you for sharing your answers! Rather than plunging head-first into twisted psychology, I would like to begin with a plan and a purpose with my parents’ guidance. Thank you again for the time you took to answer an important question. I would like to add Viktor Frankl’s Man’s Search for Meaning as one of the best books about Psychology.